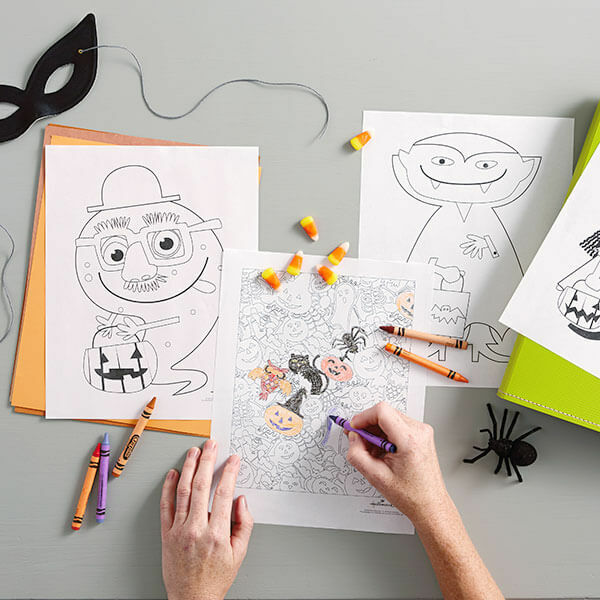 Jumpstart your Halloween with our 10 free coloring pages for kids and adults. Just print out any of the 10 designs for some spirited coloring fun. Want more? Take a look at our coloring books for adults featuring illustrations from Hallmark artists. You’ll be sure to find something that lets you show your true colors.